Dr. Joe Sanfelippo (@Joe_Sanfelippo) is the Superintendent of the Fall Creek School District in Fall Creek, WI. The Fall Creek School District was named an Innovative District in 2016 and 2017 by the International Center for Leadership in Education. Joe holds a BA in Elementary and Early Childhood Education from St. Norbert College, a MS in Educational Psychology from the University of Wisconsin-Milwaukee, a MS in Educational Leadership, and a PhD in Leadership, Learning, and Service from Cardinal Stritch University. Joe is also an adjunct professor in the Educational Leadership Department at Viterbo University. Joe has taught Kindergarten, 2nd Grade, and 5th Grade. He was also a school counselor and high school coach prior to taking on an elementary principal position in 2005. He has served as a principal in suburban and rural Wisconsin. Joe co-hosts the Hacking Leadership Podcast and co-authored The Power of Branding: Telling Your School’s Story, Principal Professional Development: Leading Learning in a Digital Age, and Hacking Leadership: 10 Ways Great Leaders Inspire Learning That Teachers, Students, and Parents Love. He was selected as 1 of 117 Future Ready Superintendents in 2014 and 1 of 50 Superintendents as a Personalized Learning Leader in 2016 by the US Department of Education. He attended summits at the White House for both distinctions. Joe was named 1 of 5 K-12 administrators to watch in 2018 by Education Dive. He has been a featured speaker in multiple states in the areas of Advancing the Use of Social Media for School Leaders, Telling Your School Story, Creating a Culture of Yes, and Personalized Professional Growth for Staff. Go Crickets!! Steve Weller (GoodReads) is a middle school English teacher with a love for laughter. He has been drawing completely relatable (sometimes painfully so) middle school comic strips on his classroom board since he first started teaching 11 years ago. 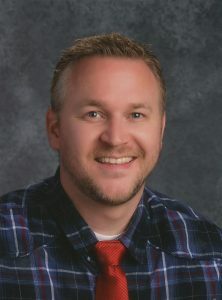 With four self-published books, regular published space in newspapers, multiple features on national education websites and nearly 20,000 followers on Facebook and Instagram, Steve hopes to spread the joys of teaching middle school to as many parents, administrators, and current, future, or former middle school students. Steve lives in Ephraim, Utah with his wife Kristen and five children.